This latest plan, which would forgive hundreds of millions of dollars currently owed by drivers, is bringing opposing parties together. Lawmakers on the right say the passing of the fees was a failure by lawmakers to make tough budget choices, and an example of government overreach. The left considers the fees an attack on the working poor. Today, some 350,000 people owe these fees. Forgiving those debts will make a lot of voters happy in urban districts represented by Dems and rural districts represented by Republicans. But, it’s not just these driver responsibility fees that are getting some bipartisan attention. A deal between Democratic mayor of Detroit Mike Duggan and Republican Speaker of the House Tom Leonard to roll back auto insurance rates in the state was introduced just this past week. Now, Leonard and Duggan say these two issues are not related even though they affect many of the same people because drivers who are behind the wheel illegally because they haven’t paid their fees probably are not buying insurance. But Duggan and Leonard don’t want progress on one of these issues to be stalled if the other gets bogged down. This is where it becomes much more likely that hurrying up getting rid of the driver responsibility happens before auto insurance reform. The economic calamity that was occurring back in 2003 when the driver fees were created has dissipated. And, the fees are already being phased out, this latest deal would just quicken the process. It took 14 years but there’s something of a consensus that it’s time for the fees and the controversy to just go away. But could this be a precursor to an auto no-fault overhaul? 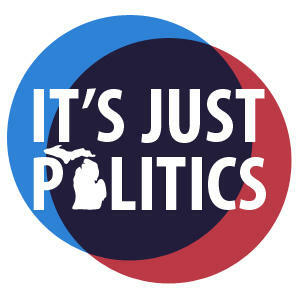 Sure, Leonard and Duggan have created a bipartisan plan but there are other bipartisan packages out there, too. And all of them have controversial aspects - whether it’s ending unlimited medical benefits or outlawing redlining - and these goals and objections don’t always fall along party lines. It just goes to show that bipartisan buy-in can also mean there’s bipartisan opposition.